At Frontier HQ we've watched this video documentary multiple times and love it. It does a great job of blending the art, science and history of the canoe. On the one hand, the canoe is a romantic vehicle of the past; on the other hand it remains the deeply practical craft it always has been. The birch bark canoe is a near-perfect traditional design studied by modern engineers as well as built to this day by First Nations people who are proud to maintain their craft traditions. The line up of academic and curators contributing to this video is impressive. It's always nice to hear Jeremy Ward speaking and whenever I do, I just want to get back to the Canadian Canoe Museum again for another visit - something we do at the beginning of our French River trip, that really sets the scene for the importance of the canoe in the history and culture of Canada and its people. Our favourite line in the film, however, is from canoe builder Marcel Labelle... "People ask me, where did you get this canoe? And I say, well I found it in the bush. Some assembly required." The Birch Bark Canoe: Navigating a New World is a 20 minute video resource commissioned by the partnership of Engineers Canada, Manitoba Aerospace, the Engineering Access Program and the Faculty of Engineering at the University of Manitoba. It is designed to be used in Manitoba classrooms to honour the contributions of First Nations peoples and to educate future generations about the art and science of the birch bark canoe. 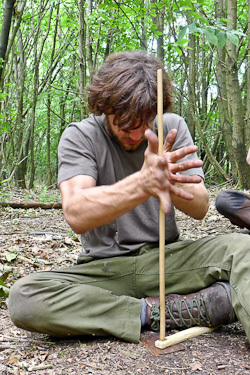 Paul Kirtley is owner and Chief Instructor of Frontier Bushcraft. He has had a lifelong passion for the great outdoors and gains great satisfaction from helping others enjoy it too. Paul writes the UK's leading bushcraft blog as well as for various publications including Bushcraft & Survival Skills Magazine. thanks for all your blogs and clips Paul, always appreciated! Hi Paul, thanks for sharing this wonderful video. I love the comparison between the human body and soul, and the canoes they build. Cleverly engineered and so strong and stable compared to the European vessels. The aborigines were the forefathers of bushcrafting, and lived as an integral part of the forest. I could not say it any better than Dave (above)! Much appreciated,I’ll definitely visit the Can Canoe Museum and Fort William during my cross Canada tour in the very near future! 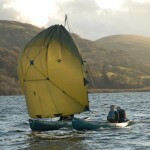 to read more I recommend The Canoe by Roberts and Shackleton (out of print).